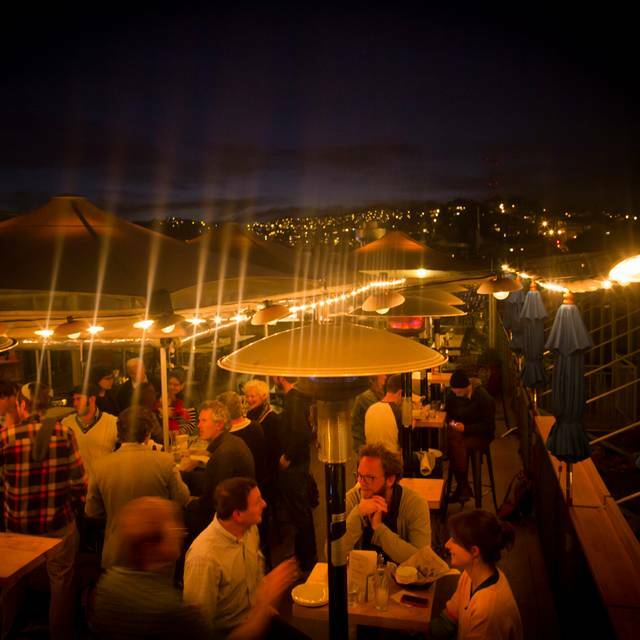 Our El Techo rooftop can accommodate large groups for special events and parties. We also have space for up to 150 guests in our downstairs restaurant, Lolinda. 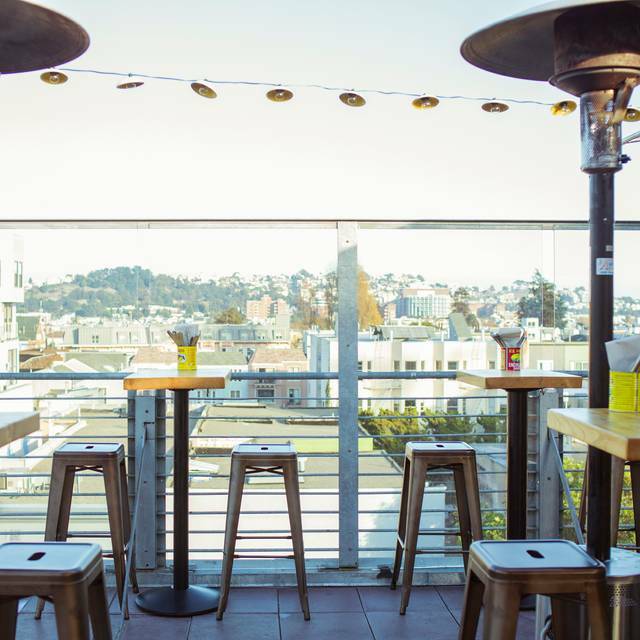 A rooftop bar in the Mission, El Techo de Lolinda is where you should be when the sun's out. My food arrived cold, which was not awesome considering I ordered eggs. Our server forgot to bring me basic things I asked for (salt, hot sauce, a drink menu) but he was nice and the weather was awesome. This place has hit or miss service and food. 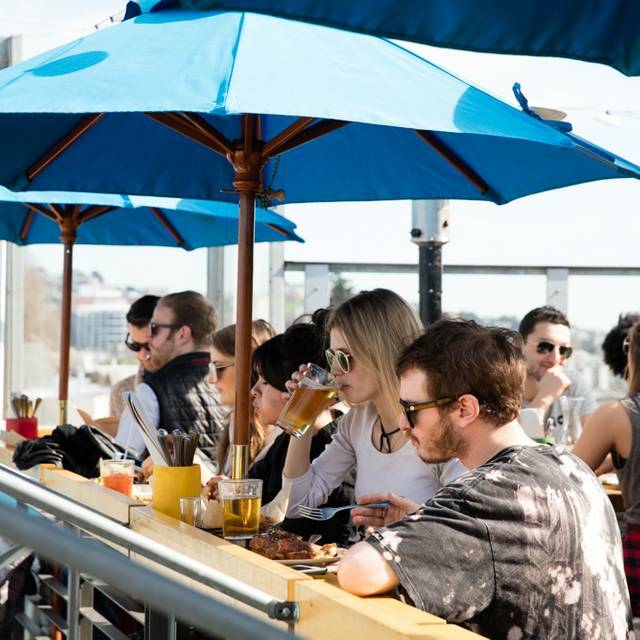 We go here for the rooftop radness, not the food or service. Great decor and ambiance. Service was ok, but they brought me the wrong food. The Benedict arrived without the sauce or chorizo, and I had ordered it exactly how it was on the menu. 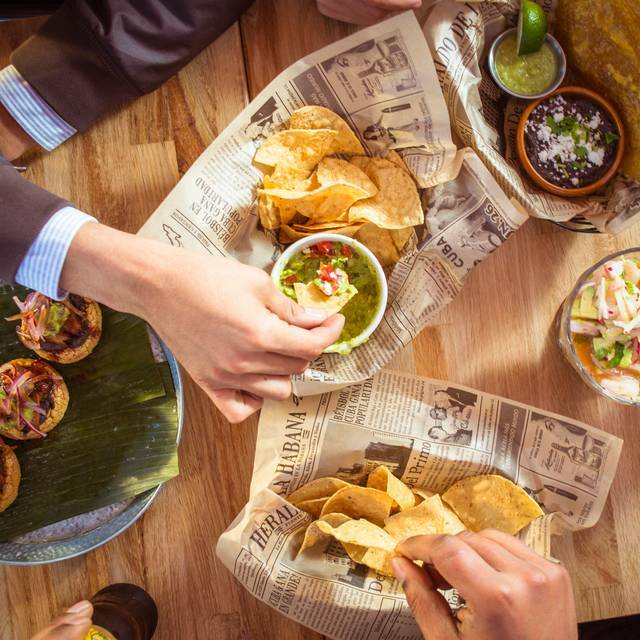 I would go back for drinks and guacamole, not food. Overall great brunch place. Food is awesome and the view is incredible. It is very busy, and we were at a table that must have been between servers sections because we kept getting skipped over. So need to make sure you get the server's attention. Great atmosphere and food options for brunch! Service was quick and accommodating. Make sure to reserve for brunch to avoid a wait. 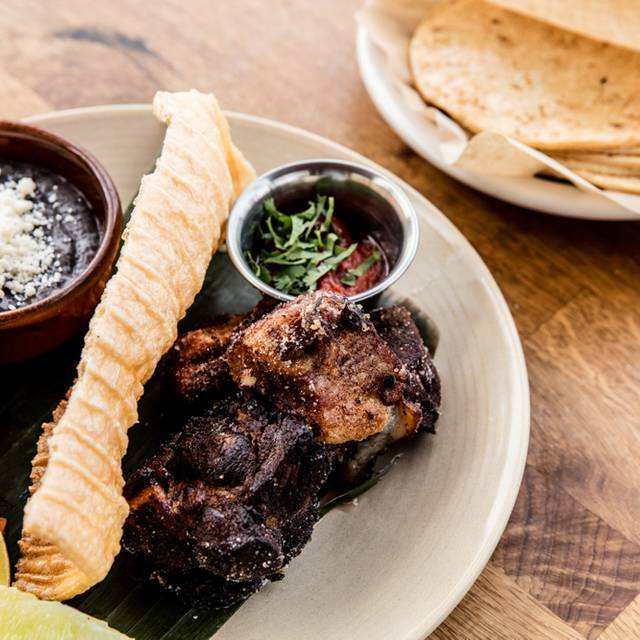 El techo is a fun place to drink and eat chips and guac. The rest of the food is a Hard Pass in my opinion (maybe I got the wrong food on the menu). I ordered the chorizo scramble, it had no flavor, I did not like the weird red-ish sour cream that was spread all over the top of the eggs. That sauce had no flavor either and added nothing to the dish (meh). If you're going to add weird white/red stuff on top of a dish def put it on the side (imo). The potatoes were soaked in butter or oil and were mushy. They did not taste good at all. I make better food at home, a ten year old probably does, unfortunately, not worth $14 that's for sure. Food is amazing , good drinks , service was so so waitress was great everyone else we asked for something lagged big time . 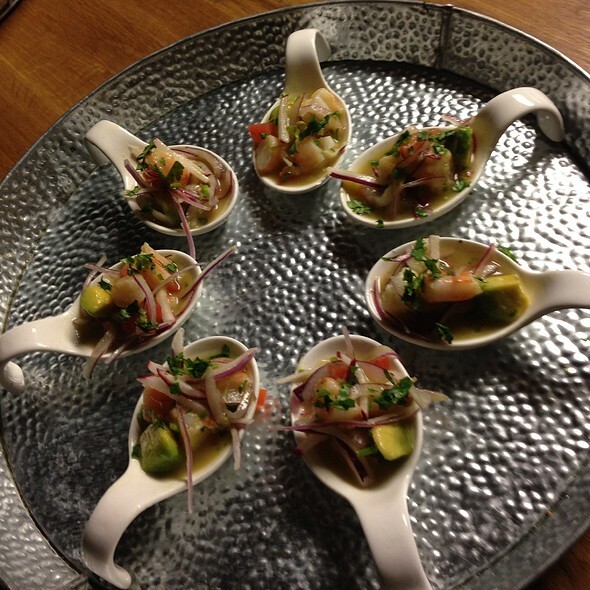 Always a great experience at El Techo! Great Mission location with a view! Popular spot so it's busy and loud even as a rooftop venue. The food was quick to come out and extremely good and flavorful. We sat "inside" which is really on the inside of a covered clear tent which was heated, so it was perfect. Service was simple and nice. I would highly suggest you come and enjoy the great view on a nice day. The staff was excellent. Since we made a reservation, we got in right away and sat outside. The staff was so friendly. Our server was incredibly helpful and answered any questions we had on the menu. We went with all of his recommendations. He also regularly checked on us to make sure the outdoor heaters were set to the right levels for our comfort. Would definitely recommend and will bring friends and family the next time we go. Great food and quality. The carnitas are excellent and the jicama salad is really good. Solid food. Beautiful views. Great service. I always get the carnitas - the first two times it was phenomenal. The third time it was less so but still tasty. The brunch here is delicious!! Though the menu is small, every item is made deliciously. View is gorgeous, and the ambiance was overall great! Loved this restaurant! Great food and drinks, friendly servers and good atmosphere. Because it was raining the roof was up and the tables were kind of crammed together which was a little uncomfortable, but overall a great experience. I had a friend visiting from Dallas that I really wanted to take your first as soon as she landed. There was no long wait and I had reservations. I checked him downstairs and we went up the elevator to the rooftop. We were waiting for the host to come back for us when another girl walked up and said hello. She continued to look at us and stare at us without saying anything until she snapped and got an attitude and said name? We didn’t know if she was seating us or if she was just saying hello but after she said hello she continued to look at us as if we were dumb because we didn’t tell her the name on the reservation. We didn’t want to assume that she was seating us, since another girl was already doing so. She never introduced herself, she never stated why she was there or how she was going to help. Embarrassing. I’m not sure if this is how she speaks to everyone checking in or if it was because we were black that we were treated differently. Either way, don’t think I’ll be going through the trouble to return. Very nice rooftop vibes. Only went for drinks and appetizers. The michelada and Bloody Maria are great! 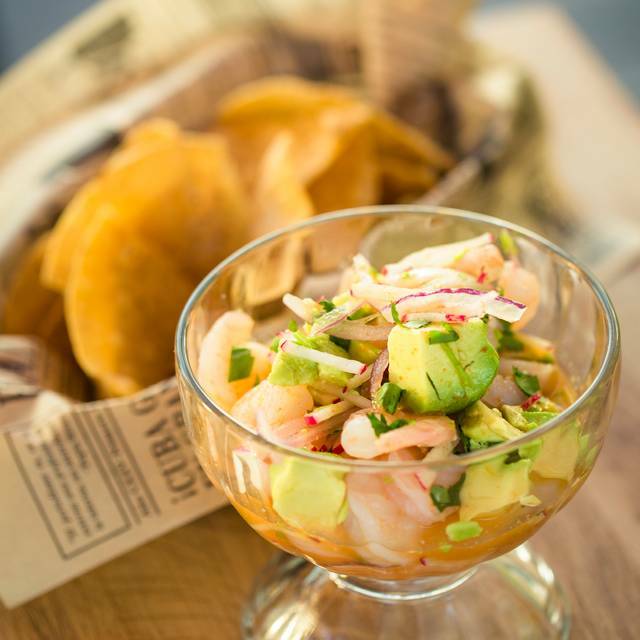 Also had their guacamole and coctél de Mariscos was a little sweet for my taste but very fresh and good. Overall great experience. Will return and reccomend. Got lucky with beautiful weather! Food was absolutely delicious. Will be back! Came from out of town for brunch our second visit. Starters came out fairly quickly but then we waited for our main entrees a little longer than normal. Server only checked on us once and didn’t see her again for a while as the other larger parties consumed her attention.not her fault being in the industry I don’t know why they didn’t have enough staff to run her food and check on tables. Overall a nice experience may not go back during their busy brunch time. Took about 15 minutes to close check as well. Horrible service, and I'd like to caveat I'm easy to please and very forgiving. Never got chips, ordered apps and they arrived with our entrees (no one wants to eat apps once they've received their meal) so it felt like wasted money. Our server came to our table 3 times - once to take our initial order, once to bring the check, and another time to pick up the check. When we received our food or drinks it was from a different person each time. When we reminded them about our chips they never came back and we never got the chips. Our waiter would make eye contact with me, and then never come. Highly possible they could have been short-staffed, but a simple explanation and apology is sufficient. To ignore the fact altogether seems arrogant. I'd come back here for the views, but the food is nothing to write home about, and coupled with poor service, I'm not itching to head back. El Techo is one of those restaurants that I always wondered about... You see it when you walk by, you see the people up on the roof, and you arent sure if it is a club, a bar, or a mix of both. We went on New Years Day for brunch. It was easy to make a reservation for 2. The thing about El Techo is that it is located on the roof. You check in with the host at ground level and then take the elevator or stairs to the top. Once up top you are greeted with a beautiful 360 view of SF. You can see all of the hills and downtown and it is just beautiful. I imagine at night that it is even more beautiful. The brunch menu is small but everything we had was solid. We started with the plantains that were served with a perfectly spicy yogurt sauce. I had the hurache which was is like a thicker style homemade corn tortilla, topped with egg, greens, onions and sauce. It was good, but the hurache could have used a dash of salt. My partner had the huevos rancheros which was delicious. I took some of the ranchero sauce and put it on my hurache and it was perfect! It added that saltiness I was looking for. The cocktails were good and fresh and the service was good. The only reason I didn't give it 5 stars is because the table was sticky with drinks from whoever was there previous, and some of the silver they have in the middle of the table in a box was dirty. Other than that it was great and I would definitely go back. Overall was a good experience, food was really good , guava mimosas the absolute best ! Such a cool hidden rooftop Gem! Ive been twice for brunch and can’t wait to go back. Order the empanadas, Huevos rancheros and the drink called Sin Nombre. Really hit the spot for a light brunch. 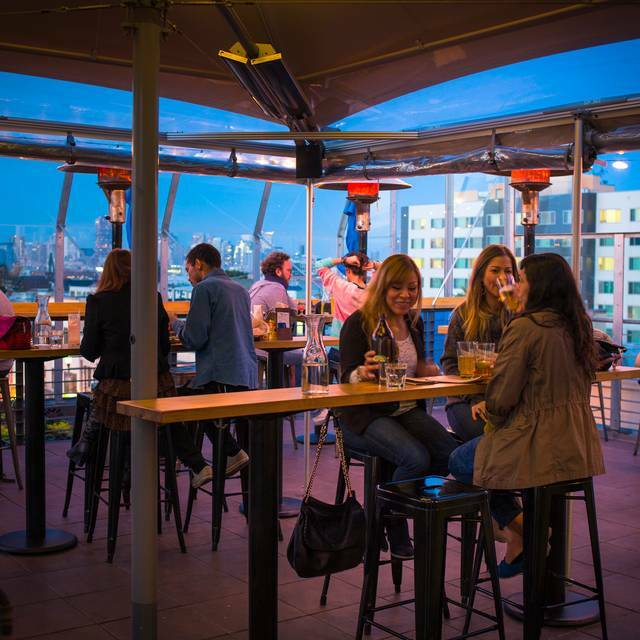 Cool rooftop atmosphere. Great food. The food was great as well as the service. It would have been perfect if the food was served warm. Food’s pretty expensive and service can be spotty; however, it’s tasty and you can’t beat the ambiance! My beignets were still raw in the middle. The staff was friendly and apologetic about the error. My benedictos plate of food was cold. The beignets were correctly cooked the second time. The cocktail (Paloma) was good. Glad they had the plastic covers to shield from the smoky air. I went for tacos but it wasn't an option. I may have gone at a wrong time (brunch). But the vibe was awesome, people were beautiful but the food options I wish were more. Food was meh BUT amazing view and ambiance. Maybe I ordered the wrong thing for brunch (Huarache). I’ll give it another try though. This was my 3rd time at El Techo- Food is excellent, service is very poor. We come here for the atmosphere and nothing else. The food is ok and the service is terrible. We would have ordered more drinks but the waitresses don't bother to come around. Every time I walk by this place mommy and I see a line. Always wondered what was up? Is there a bingo game? Lol. 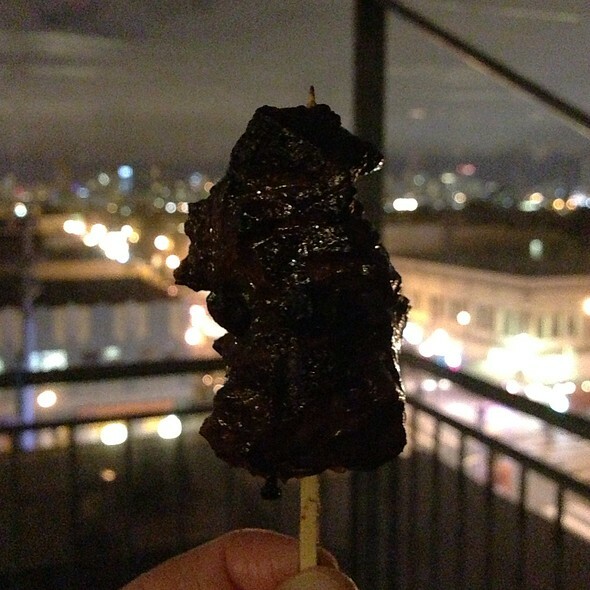 We live in SF so as you know there are way too many places to eat and we like so many others have our favorites we like to frequent. For a little change of pace decided to see what fuss is about. I read on the web site this is "street mexican food" I'm not sure where but heck I'd like to check them out. Lol! It was only our 1 visit but pretty darn good. I had the Benedictos and mommy had the Vegetarian Scrabble. Plus we munched on guacamole and chips. YUMMY! We shared w/hostess our 1st visit and she suggested we should check out a dinner. She saw my mom's a senior so she suggested we should return earlier in week not during end of week so she would be more comfortable. Mommy liked that and had me promise we're gonna return to see. Excited to check out the dinner menu. Thanks for a nice 1st visit. Our food server was super and she actually suggested our meals and hostess was nice. Loved the food (chorizo scramble, huarache, bunuelos) , loved our server, and the 270-degree view of San Francisco is really splendid. I don't know of another place in SF like it. What I was not so fond of: too noisy for easy conversation (how can an outdoor restaurant be so LOUD?) and diners too tightly packed at micro-tables. My chair was kicked by passing waitstaff at least 10 times. All the seating is on high stools without backs, so if you have children or any mobility or comfort issues you may want to look elsewhere. I felt very welcomed and service was fast and friendly. I will come back again! The rooftop view of the city is amazing. Definitely a place to bring your friends and family. Probably one of the best spots for brunch in SF. The food was amazing. So good I ordered another plate! Can’t wait to come back. Make sure to reserve in advance.